Got a hankering for poke? 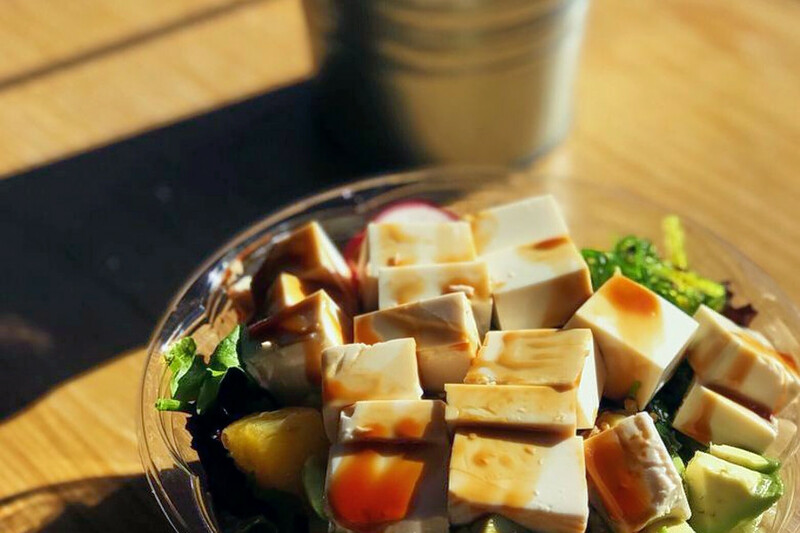 Hoodline crunched the numbers to find the top poke spots in Philadelphia, using both Yelp data and our own secret sauce to produce a ranked list of where to venture next time you're on the hunt for the Hawaiian salad. Topping the list is Red Poke Express. Located at 135 South St. in Society Hill, it's the highest-rated spot to score poke in Philadelphia, boasting 4.5 stars out of 68 reviews on Yelp. Check out the signature red poke bowl: tuna, red onion, hijiki seaweed, edamame, avocado, green onion and sesame seeds with classic shoyu. Sushi burritos and poke salads are also available. Yelp reviewer Vinicius M. wrote, "I picked the rainbow bowl and everything was fresh from the avocado, rice and meats! I did ask for extra tuna because raw fish is life. I have difficulty finding fresh tuna and this place nailed it!" 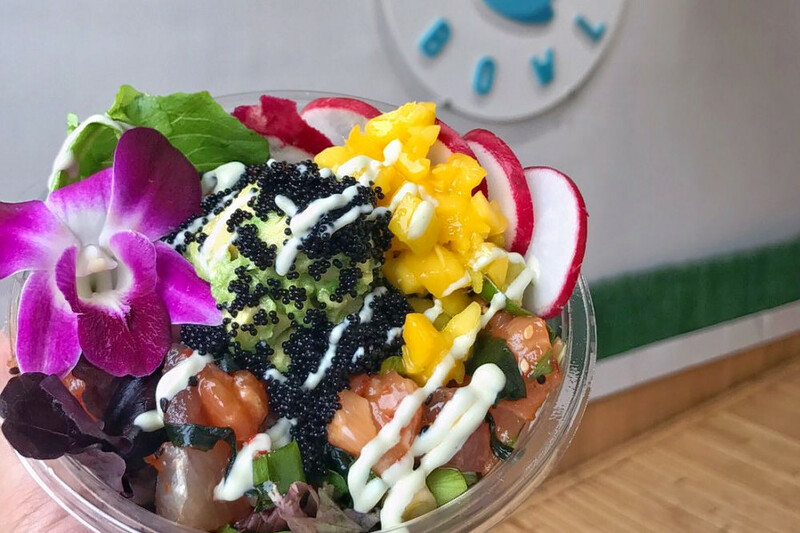 Next up is Northern Liberties' Poke Bowl, situated at 958 N. Second St. With four stars out of 181 reviews on Yelp, the Hawaiian spot has proven to be a local favorite. Look for the house classic: tuna, salmon, seaweed, scallion, salt, sesame seeds, shoyu, tomato, cucumbers, radish, avocado, tobiko and wasabi cream. 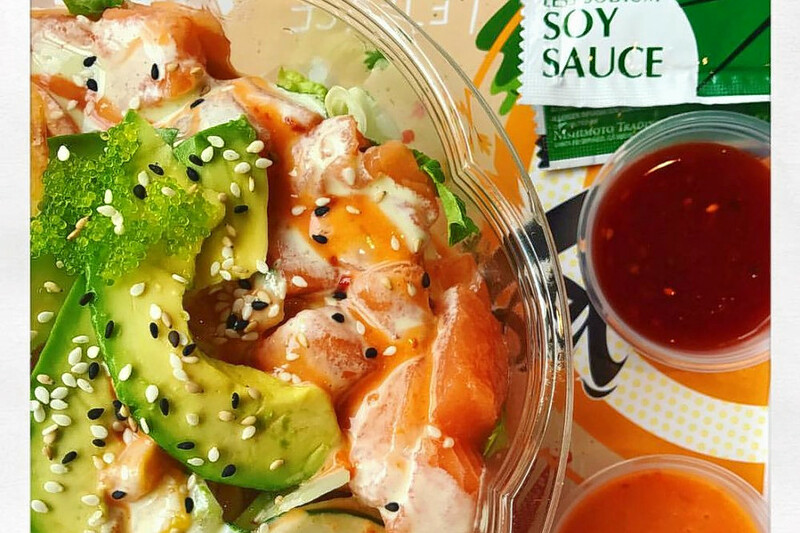 Chinatown's Philly Poke, located at 1016 Race St., is another top choice, with Yelpers giving the sushi and poke bar 4.5 stars out of 54 reviews. Check out the salmon bowl, made with edamame, nori, cucumbers, carrots, red onions, mangos, fish eggs, avocado, fried garlic and pickled ginger. 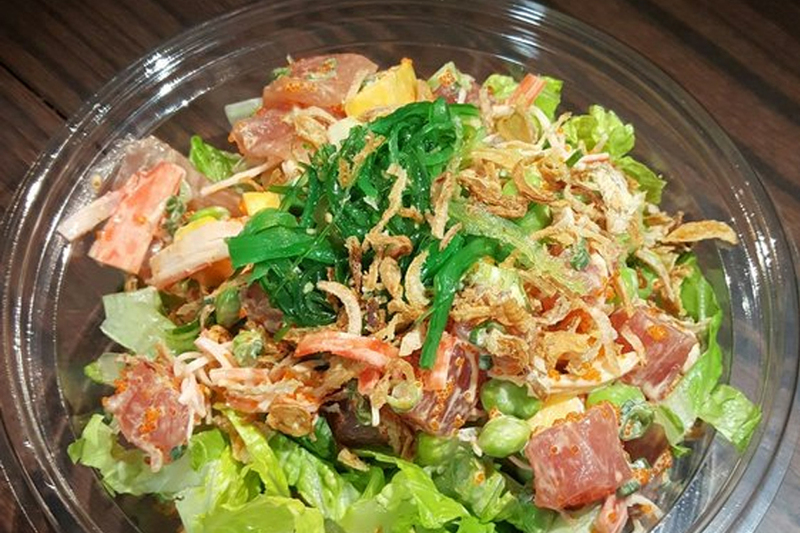 Another Chinatown favorite is Oishii Poke, which has earned four stars out of 146 reviews on Yelp. 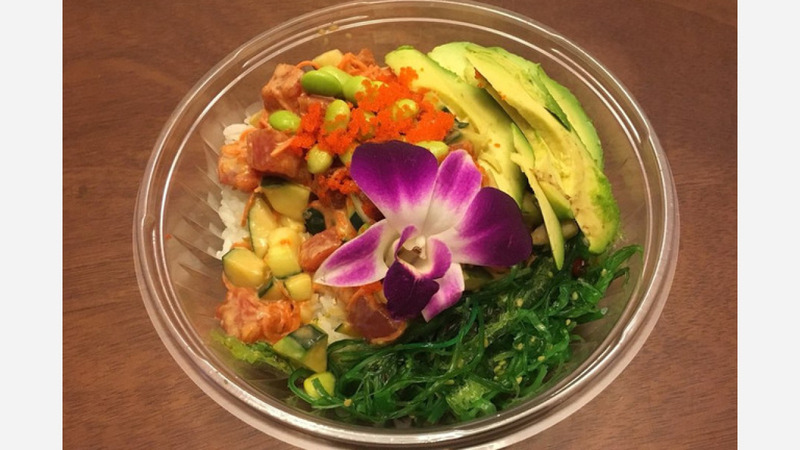 You can find the poke spot at 938 Arch St., Floor 1. Look for the Hawaiian classic: salmon, romaine lettuce, red onion, cucumber, mango, avocado, honey wasabi and spicy aioli sauce. 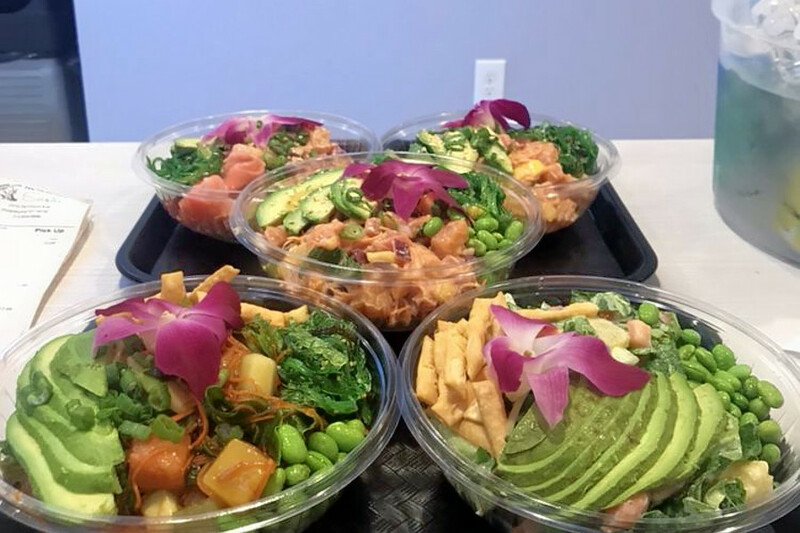 "Oishii Poke is most definitely one of the best poke places in Philadelphia," wrote Yelper Emily M. "While they may not have as varied of proteins and toppings as Poke Man, what they do have is done superbly. They knock everyone out of the water with professional, timely and impeccable customer service." Finally, there's Engimono Poke & Deli, a Fairmount favorite with 4.5 stars out of 29 reviews. The deli offers make-your-own options. For example, the mix two option gives visitors two protein options, five toppings and five mix-in selections.Stop by 2319 Fairmount Ave. to hit up the Hawaiian deli next time you're looking to satisfy your cravings. The wide-ranging menu also features all-day breakfast (think eggs, bagels and toast) and deli favorites like hot paninis and signature sandwiches.